exhibits on Ulysses S. Grant, the Civil War and much more. 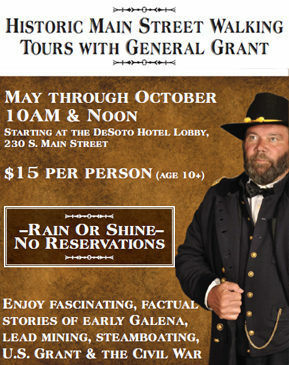 Explore Galena’s history and meet the spirit of Ulysses Grant in a hologram that welcomes guests to the museum where true national treasures, such as the “Peace in Union” and “General Grant on the Battlefield” paintings, Flag from the Vicksburg Siege, a topographical map of Jo Daviess County, and the stories of mining and steamboating are presented. The museum is located in a 1858 Italianate mansion built as a private residence by Galena merchant Daniel Barrows. The museum features over 6,000 square feet of exhibit space and presentations on lead mining in the northwest region, the Driftless Area, Grant’s leather store, the Port of Galena: 1858. Discover souvenirs, gifts, and books of a historical nature in the museum gift and bookshop. Learn more about plans for the new museum on Bouthillier Street and get progress updates. 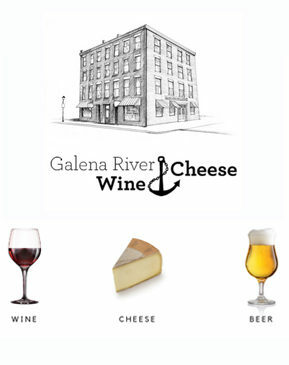 Learn about Galena's and Jo Daviess County's amazing histories through these informative interviews with those who lived and some who still do! 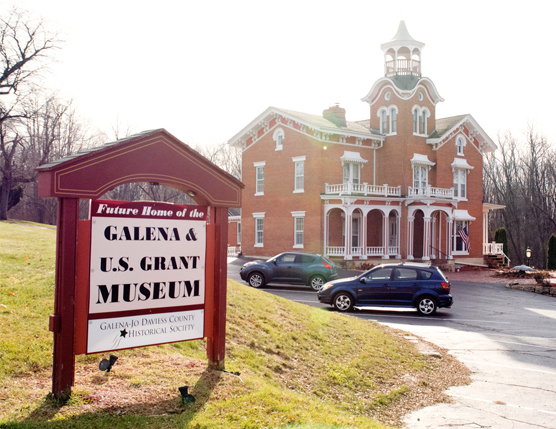 The Galena & U.S. Grant Museum team works to bring history out to the community through innovative, year-round programming. 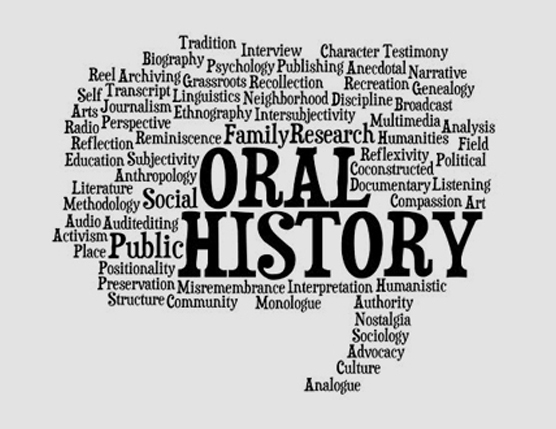 Our events are informative and entertaining, and they engage people of all ages in the dialogue of local, regional and national history.